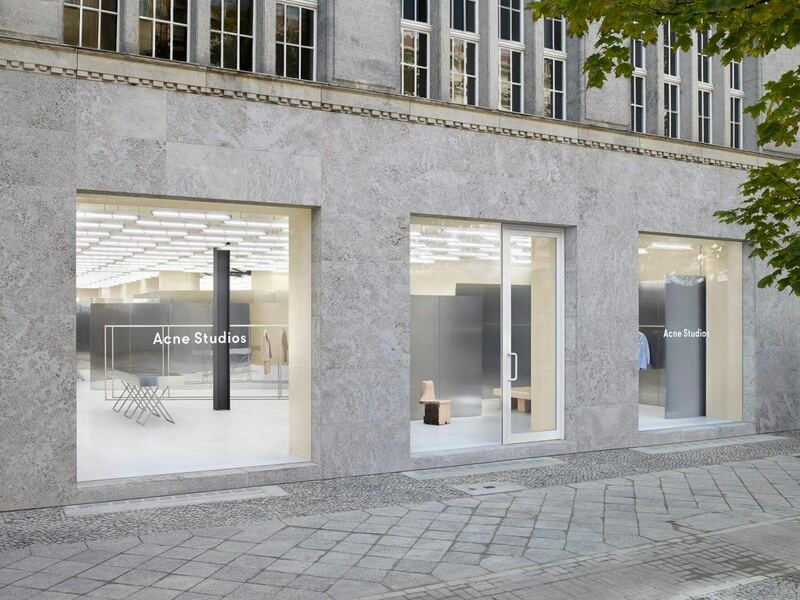 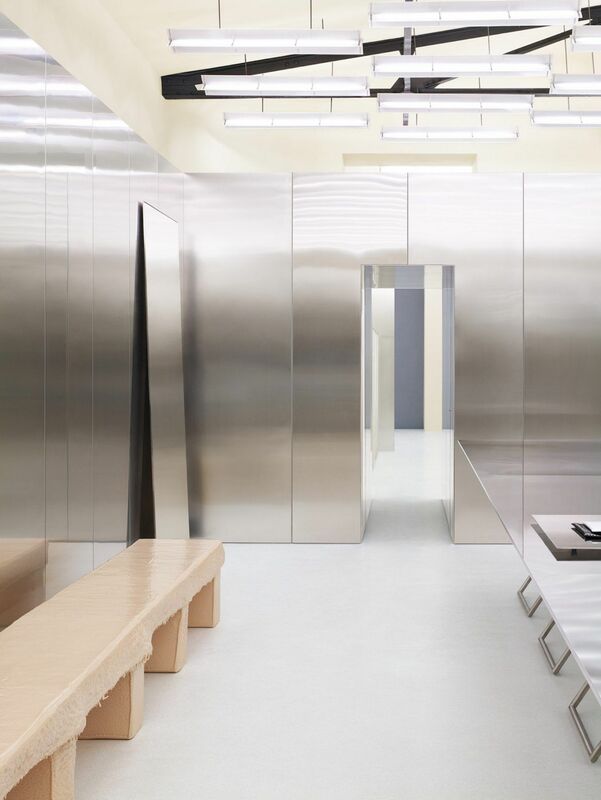 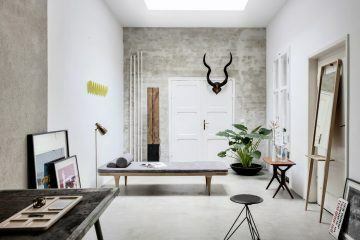 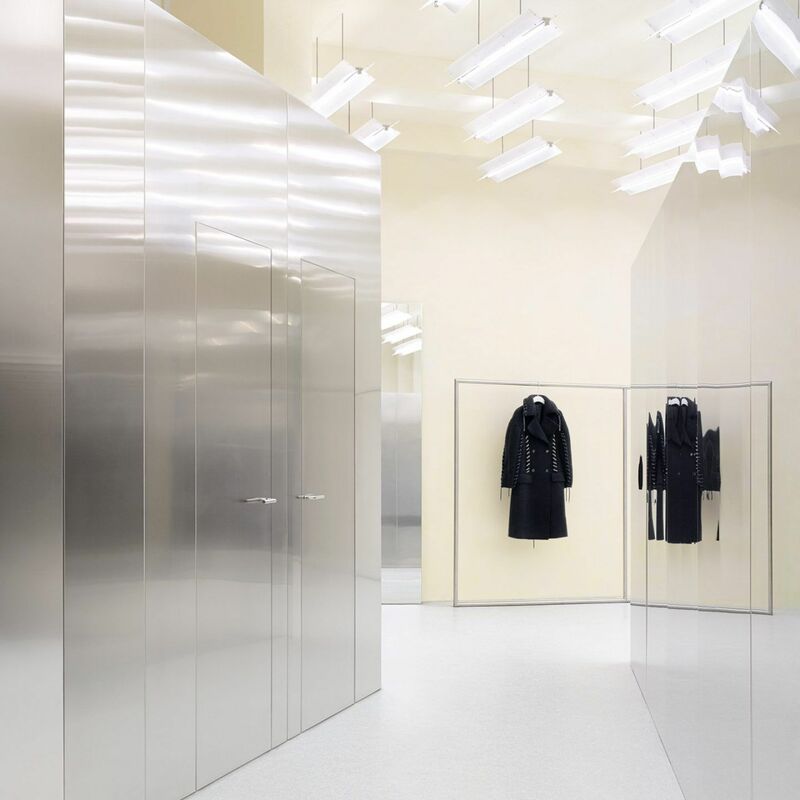 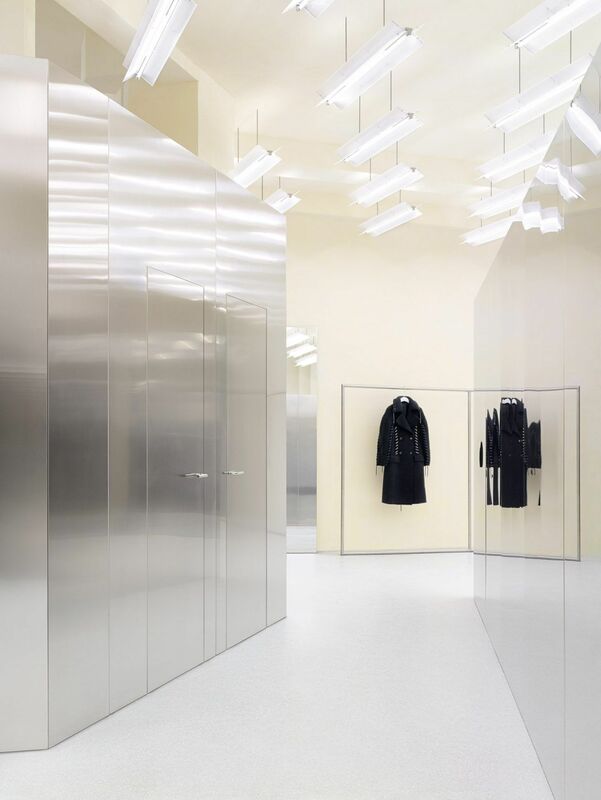 In 2015, Swedish fashion house Acne Studios opened their second flagship store in Berlin’s Potsdamer Strasse, a 260-square-meter boutique situated amidst a hub of new contemporary art galleries. 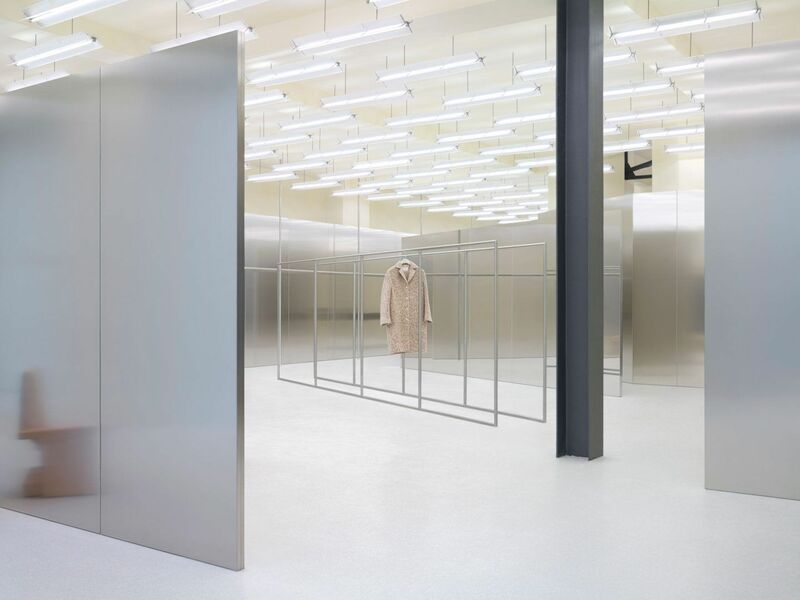 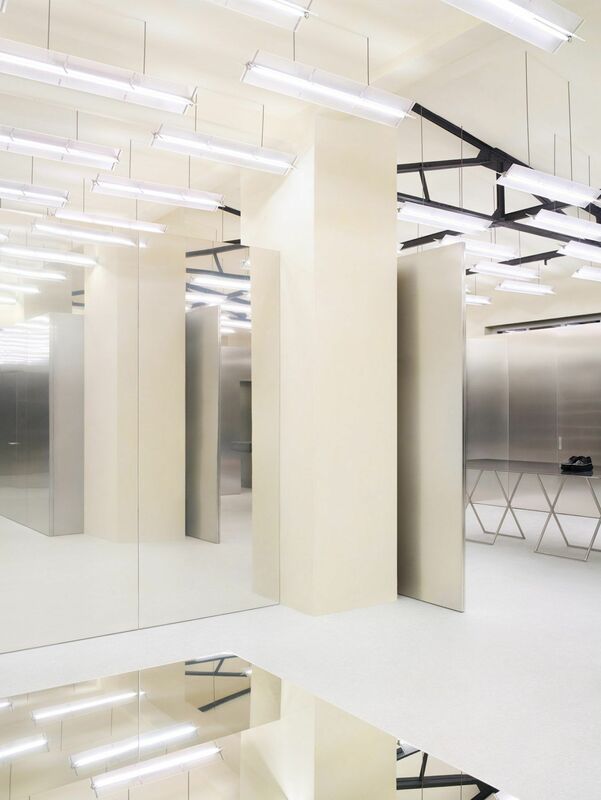 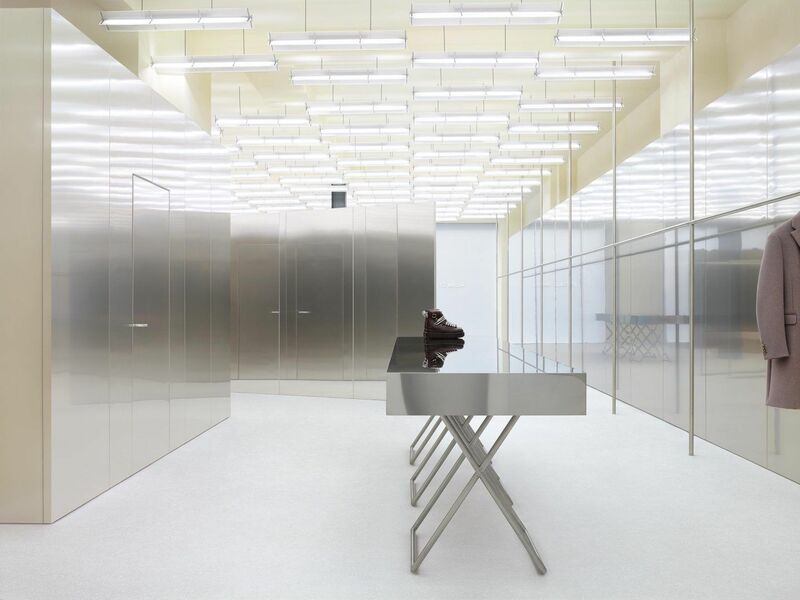 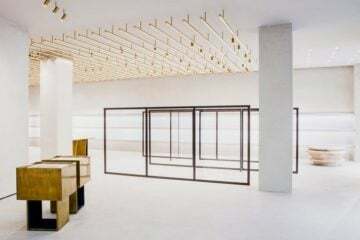 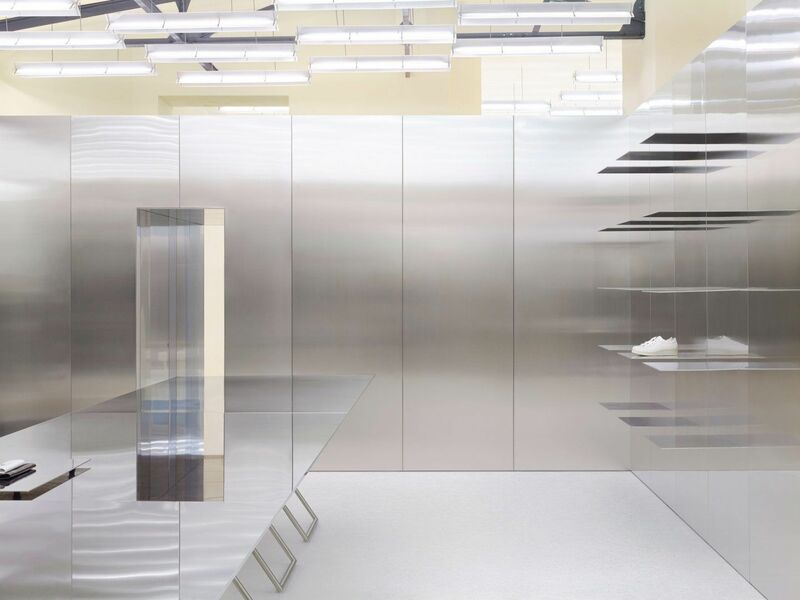 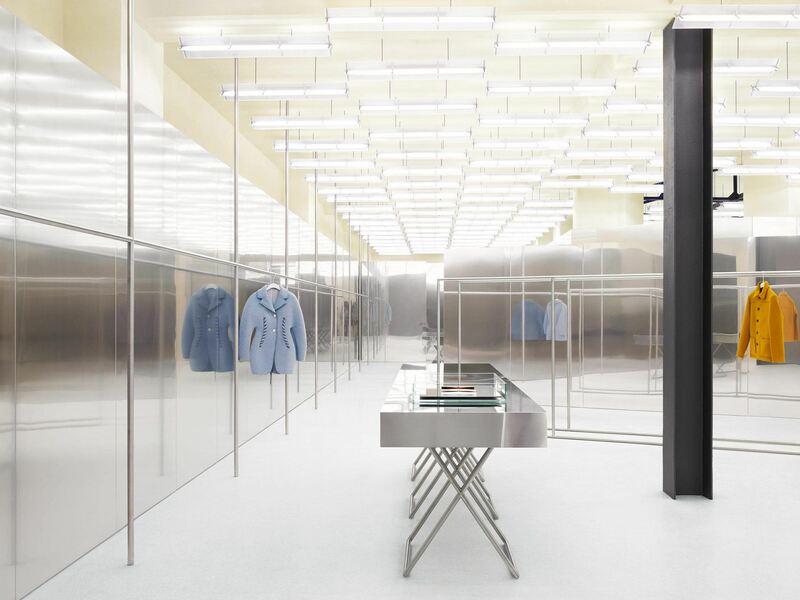 The spacious concept store was designed by Michail Blösser of Berlin-based firm Bubab Architects and boasts a sleek stainless steel interior, with rows of luminous strip-lights suspended from the ceiling. 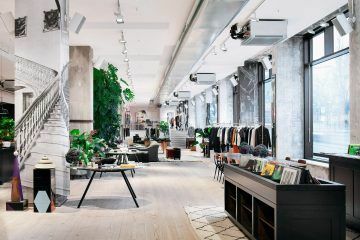 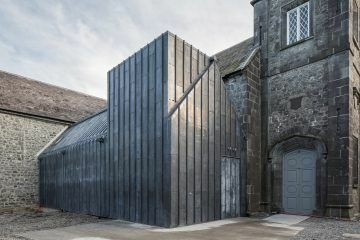 It houses the full ready-to-wear collections for men and women, including the latest denim, accessories, and footwear ranges. 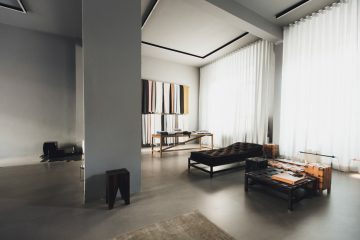 Founded in Stockholm in 1996, the luxury label’s minimalistic aesthetic has an emphasis on color, tailoring, and an eclectic use of materials and custom-developed fabrics. 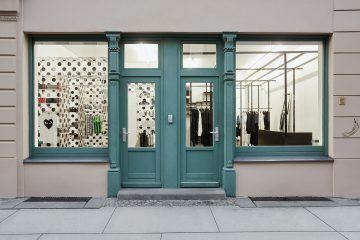 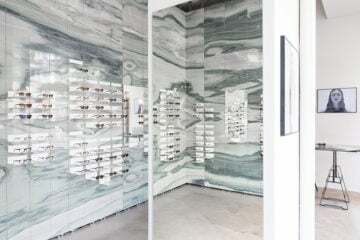 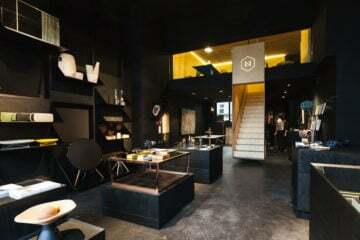 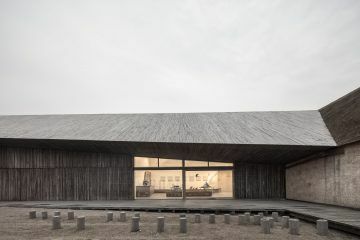 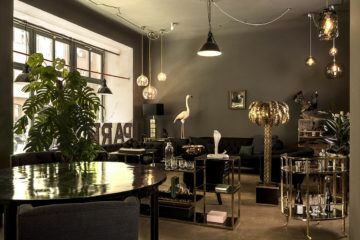 The brand also has stores in Berlin’s Weinmeisterstrasse and the Kaufhaus des Westens.